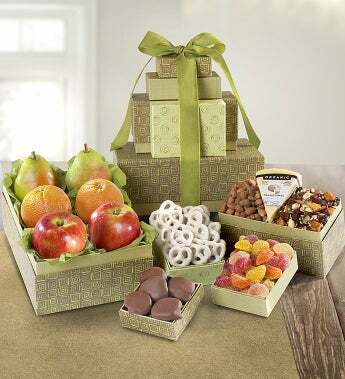 Evoke thoughts of clear, crisp early mornings in the Sierras when you send this tempting array of organic fruits, sweets, and savories. The artisan made Sierra Nevada organic jack cheese pairs very well with the almonds, pistachios and pears. They'll also love the mandarins, frosted cookies, chocolate turtles, and more.